2018 KPY Football & Cheer Registration Is Now Open! 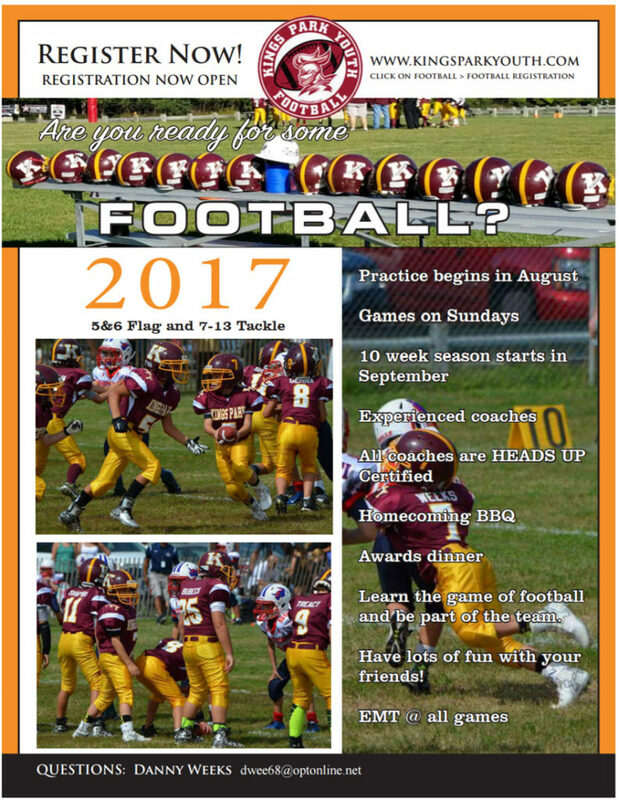 2017 KPY Football Registration Is Now Open! KPY is happy to announce a partnership with Smithtown to hold a Spring Football Clinic. This clinic will be open to all children ages 5 through 13. This clinic is FREE of charge.